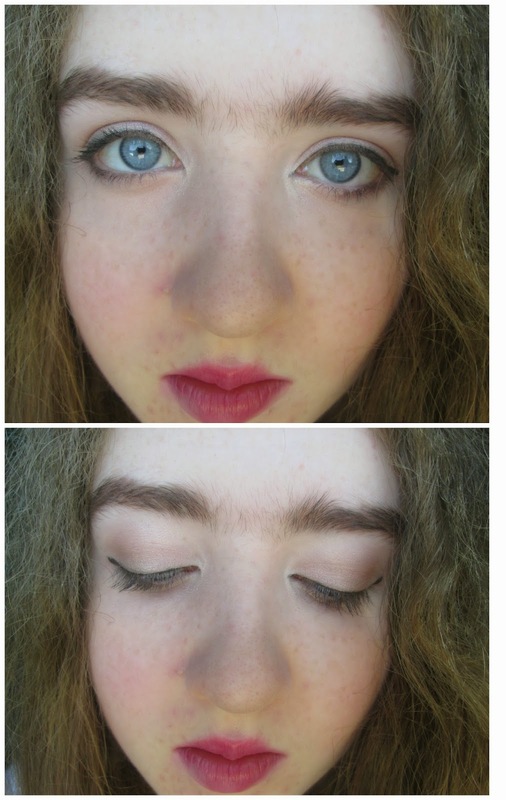 So today on Teen Blog Series we're doing foundation and brow routines for teens ! "Teen Bloggers Anouska Millar and Beth have decided to start a project called #TeenBlogSeries. Its aim is to bring together lots of the teens/young adults in the blogging community. For the next ten consecutive weeks, over 80 bloggers will be writing every Monday at 6:30pm about many different things, all beauty, lifestyle or fashion related. You can view everyones posts by going to the hashtag on twitter "TeenBlogSeries". If you would like to supply products for the giveaway, get involved, or have any questions, please email: anouskateenblogger@googlemail.com. " To be frank with you, I don't wear foundation. The thoughts of it terrifies me after my two month relationship with BB cream (hola unnaturally yellow face !) this time last year. I'm also not very self conscious when it comes to my skin so to put it in to better words - I'd leave the house without concealer on sooner than I would without wearing eye makeup. You could say that my 'foundation routine' is pretty simple - concealer, powder and sometimes the odd bit of bronzing powder. Concealer-wise, I've been using Maybelline Fit Me for at least the past year. I wear shade 15 which is still ever so slightly too yellow for my skin but not as bad as shade 10 would be ! I usually apply this over my breakout areas which are currently populating like crazy by the minute and also under my eyes. After this, I use Nyx Wonder pencil which actually matches my skin (PARTY GUYS LIKE PLEASE !) over my eye lids and any areas of redness. I then set this with No7 Perfect Light press powder in Translucent and that is my foundation routine done and dusted, no pun intended ! As for brows, mine are pretty full and even if they weren't, I still wouldn't believe in turning them into Crayola's latest crayon project ! I have a gap at the end of the brow you see on see on the left and then the end of the right brow is quite sparse so I fill them in lightly and we're finished ! 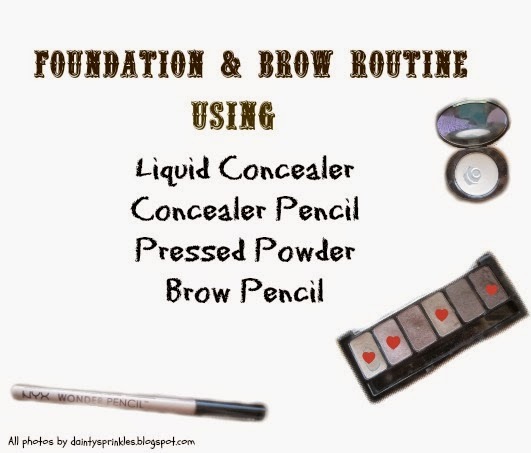 So that is my foundation and brow routine - sorry there is no video with this, I did film my full every day makeup routine for school but it is refusing to save when edited. This brings me onto my next technology related problem (technology hates me duh.) which is that charger #2 is broken (TWO CHARGERS IN ONE WEEK MY LIFE IS A SHAM !) so I've no access to my own laptop right now explaining my absence on here. In more positive news, I began Transition Year today and although I'm going to feel even more drained this time tomorrow after two days of induction, I love my class tutor and three of my friends are in it too so that's worked out much better than anticipated - Keep a look out for Transition Year related posts during the year ! This is so great - and such a wonderful idea! Seriously omigod thank you but honestly the minute you'd get it you'd be like OK GRACE YOU CAN HAVE IT BACK NOW xD !! !